Whenever you are travelling, whether it is to work or on a holiday somewhere, that is most often when you will need your coffee the most. And if you are anything like me, takeaway coffee just does not do the trick. When you don’t want to be let down by overpriced takeaway coffee, why not just brew coffee at home and take it with you? If that sounds like more your speed (because who would not want to brew that fantastic Blue Coffee Box coffee and take it with them), then today’s post will definitely get you excited. Why? 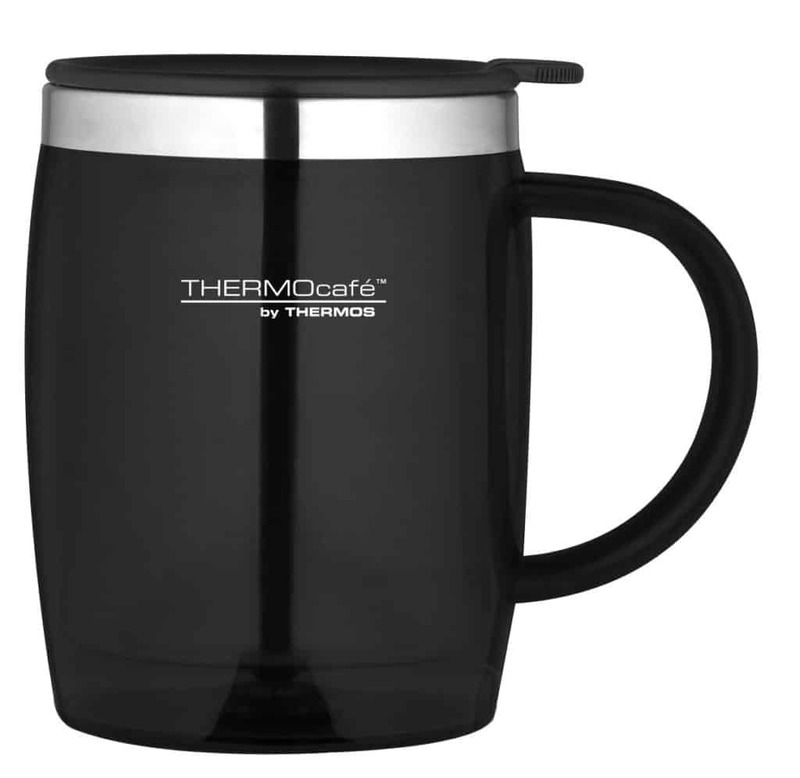 Because we are talking about the best travel coffee mugs to fit your lifestyle. 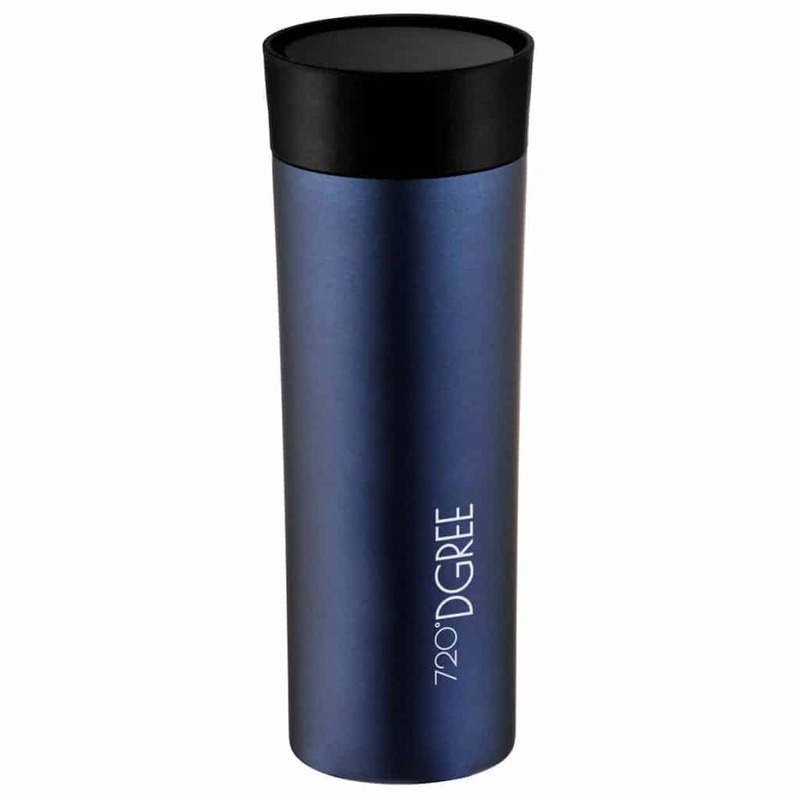 What Makes a Good Coffee Travel Mug? 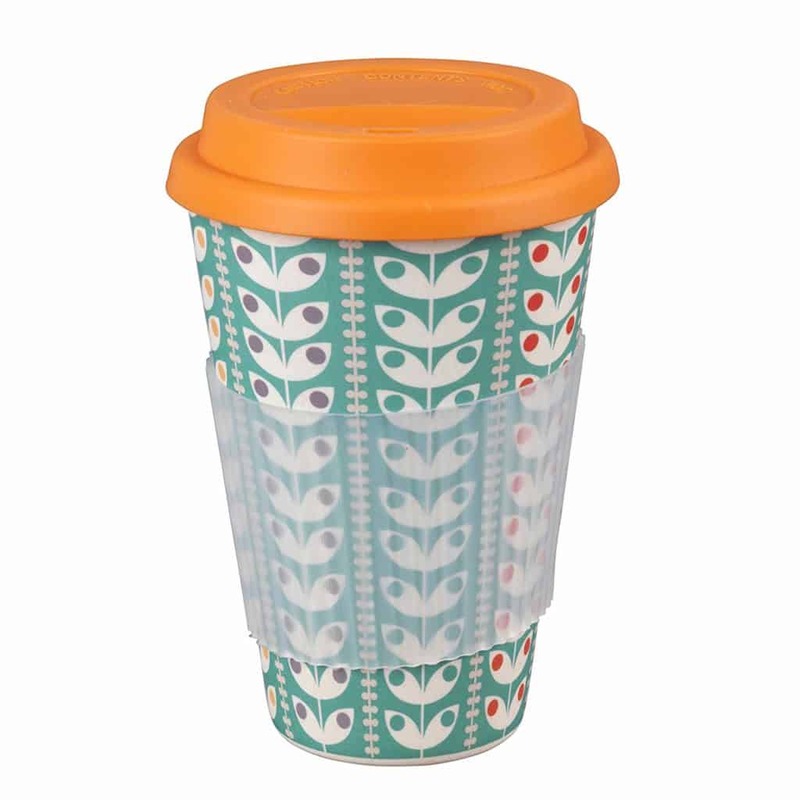 A good coffee travel mug can really brighten up your day. Being able to make your coffee your way and then travel with it is pure bliss — at least it is for me. 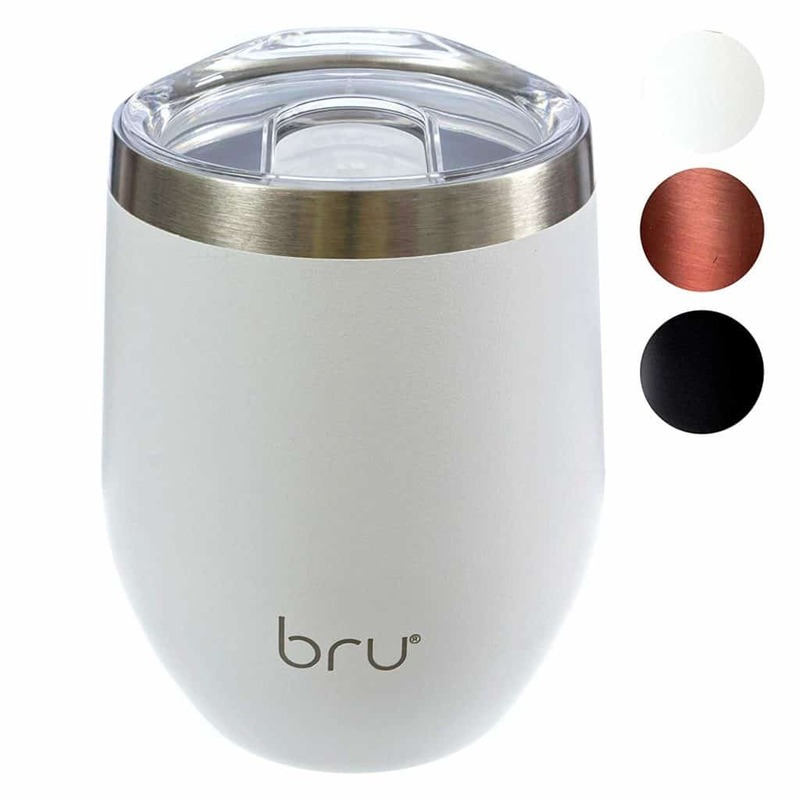 Not only is this a special luxury that you can give yourself, in the long run, brewing your own coffee at home and putting it in your travel mug will save money and time. 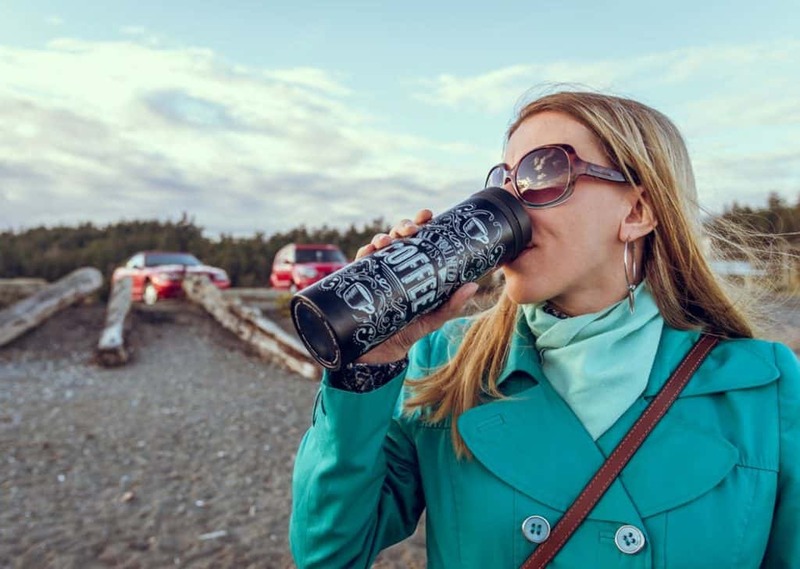 There are a lot of choices when it comes to choosing the right coffee travel mug, so today we are breaking it down for you to help you choose the perfect one. Before we look at a few, here are some key factors to consider. How Long Does It Retain Temperature? 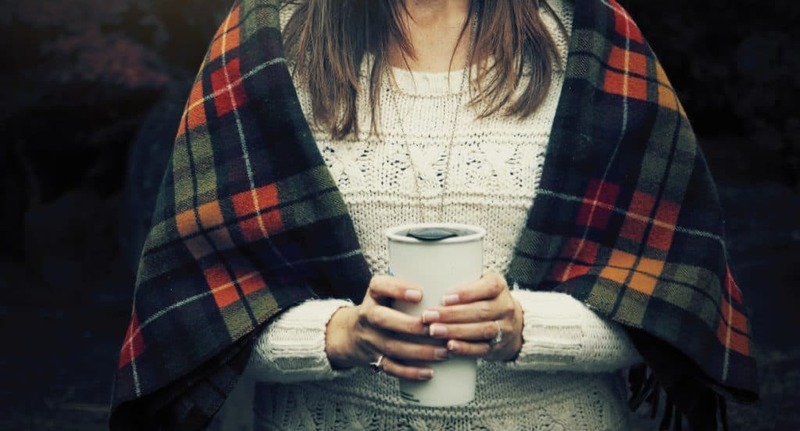 The first thing to look at when choosing a good coffee travel mug is good insulation. A well-constructed mug can keep your coffee hot for hours, while a flimsy cup will struggle even on shorter commutes. Depending on where you are going and what you are doing will determine how long and how hot you want your coffee to be. Not everyone needs extremely high heat retention. 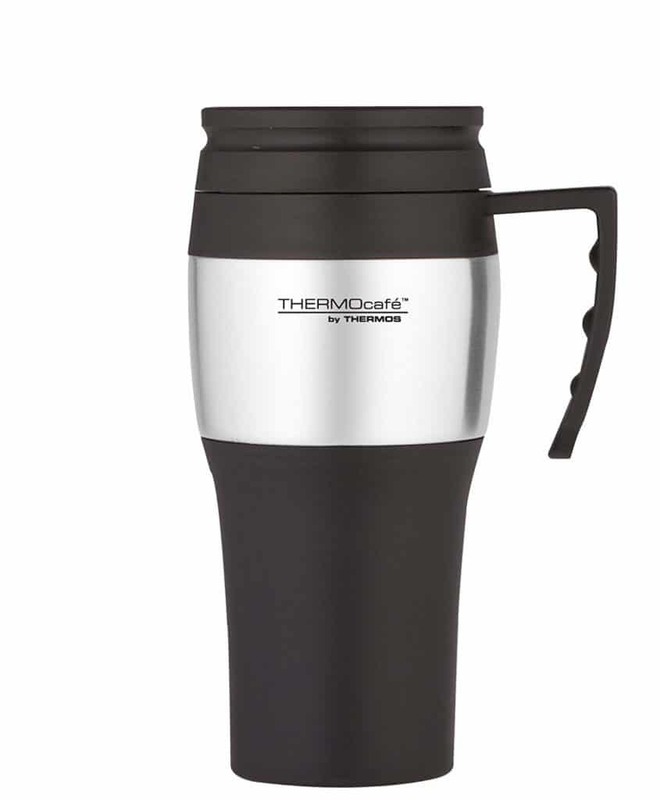 If you just want a travel cup for a short commute or a Sunday picnic, there’s no reason to invest in an expensive vacuum-wall thermos. Have you ever gone to take a sip of coffee from your travel mug, only to have it spill all down your top and the side of your mug? Yes — I have been there and done that, so make sure that the mug you choose will have a lid design that is resistant to leaks and spills. Many travel mugs, however, are not leak-proof, meaning you cannot carry them in your bag. 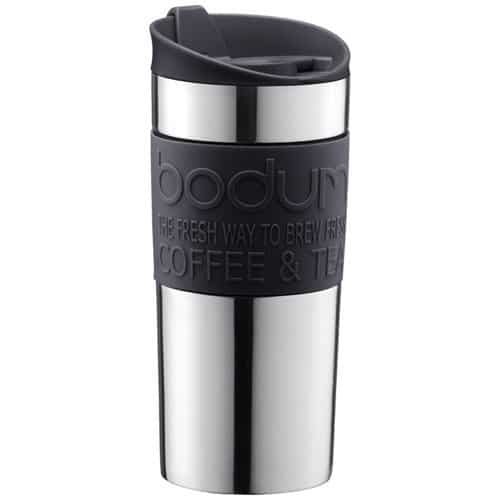 Leak-proof travel mugs are often designed like mini thermos bottles, with a screw top or similar. Is It A Good Mug To Hold? 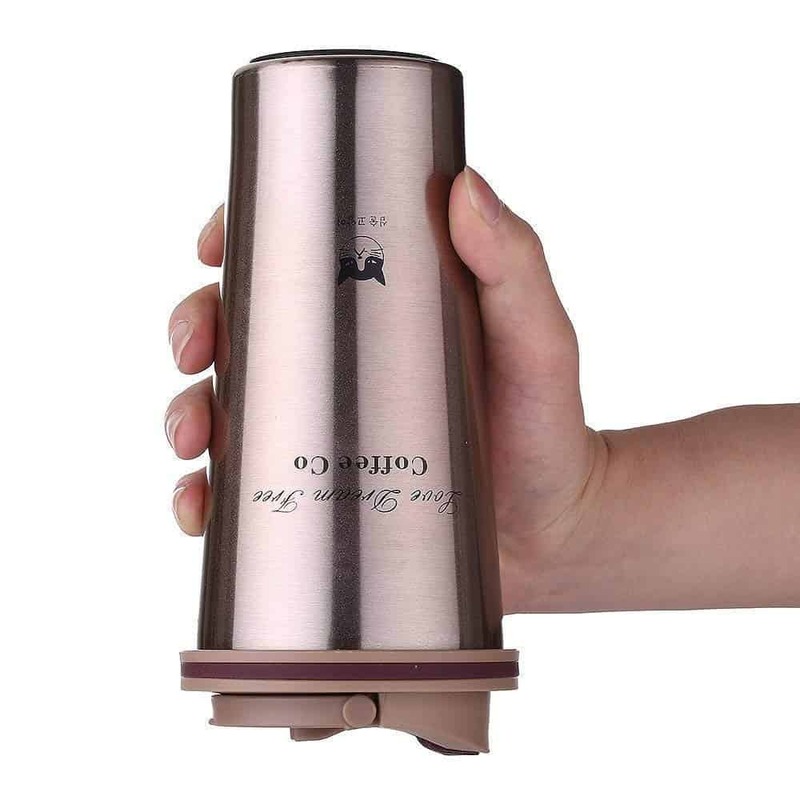 If you prefer to hold your travel mug for most of your trip, then the design and handle are important. Does the handle fit nicely in your hand? Some mugs have really small handles, while some coffee travel mugs require two hands to hold. Also, pay attention to the materials as some may cause burns if they come in contact with skin. For instance, glass mugs with plastic handles or holding strips might be dangerous if you accidentally touch them. What’s The Perfect Travel Mug Size? How much coffee do you need to get you going in the morning? For me, I like a big mug, but that is because I drink coffee all day long. If you are the type that has a small cup in the morning, then you will not need as large a travel mug as I would need. 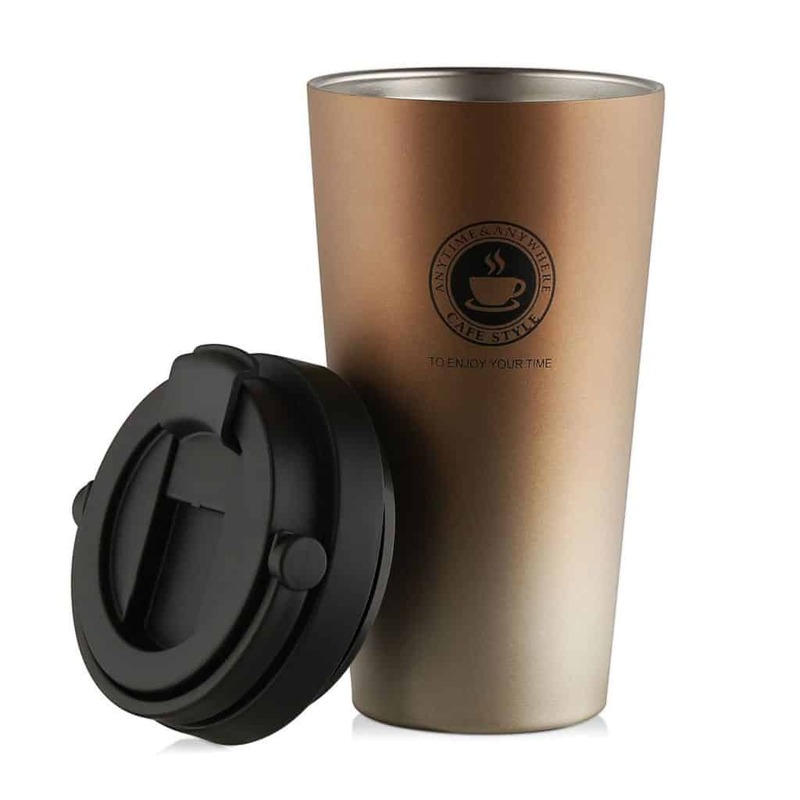 Is The Coffee Travel Mug Easy To Clean? It’s often difficult to get travel mugs completely clean in between uses. I recently threw one such mug away because it had stained horribly over the course of a few month’s uses. I did not take the time to research the material properly, and in turn, wound up with a mug that looked disgusting from coffee stains. 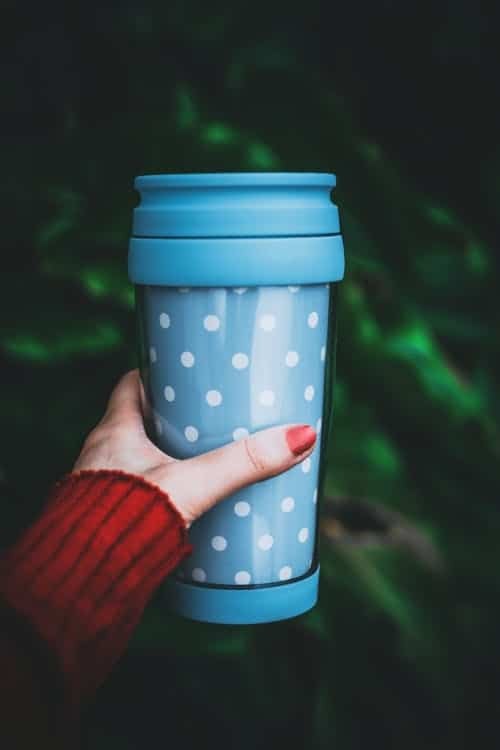 If you use your travel mug regularly, it might be a good idea to get a mug made from a material that doesn’t stain easily, with machine-washability being a plus. If you are the outdoorsy type, then durability is important. You want to make sure to maintain the mug in good condition. Materials like plastic might lose their ability to retain heat if their surface gets scratched or wears out. This is the main question people ask when it comes to coffee travel mugs. If you have ever shopped for one, then you have noticed that the price range is wide. Expensive doesn’t always mean good, and you can get a lot of bang for your buck with the right choice. To make things a bit easier, I’ve compiled a list of some of our favourite coffee travel mugs both based on price and durability. One of these should be perfect for your coffee drinking lifestyle. Whether you’re a camper or a commuter, you’ll be sure to find a mug to suit your needs! To save you time (and money) in your search for the best travel mugs, this list of eight different mugs are some of our favourites. And it almost goes without saying that these all pair best with the coffee found in your Blue Coffee Box! Click here to subscribe.